Before 1910 and the constitution of the Union of South Africa by General Jan Smuts, there was no proper South African army, except for some independent Boer militias, on horseback for the most, who preferred guerrilla warfare and distrusted the discipline of large standing armies. Smuts, as the Union’s first Minister of Defence, established in 1912 the Union Defence Force (UDF), which organized for the first time a standing army with a core of career NCOs and soldiers, the Active Citizen Force (ACF), temporary conscripts and volunteers and a cadet system. Battle of Mafikeng, 1899. The second Boer War contributed to forging the national identity. A conscription for all white men of 17-60 years was established, but there were already droves of 17-25 year old volunteers. Eventually, these forces were based in 15 military districts. The core of the UDF was made of five regiments of the South African Mounted Riflemen, each with an organic company of artillery. Acting as a police, this 23,400 strong force was called on to suppress the industrial strike of Witwatersrand. In 1914, however, the SA government chose to side with the Allies and Great Britain, and despite a strong internal opposition, General Botha sent a 67,000 strong expeditionary force to invade the German South-West Africa (Namibia), which surrendered in July 1915. The 1st South African Brigade was sent on the Western Front, where it distinguished itself at the battle of Delville Wood in 1916. There was also a prolonged campaign against German East African colonies, especially against the Ascaris. 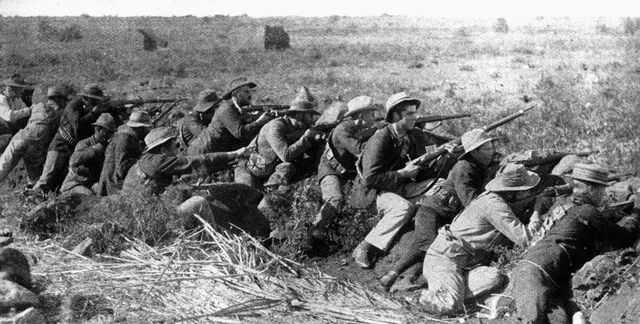 20,000 men from the SADF infantry brigades fought there under the command of Jan Smuts. Another unit participated in the Operations in Palestine against the Turks. Total demobilization took place after the war ended, but in 1922 the conscription (after 21, four years of service) was re-established and fixed a professional army, which was asked to perform internal security duties. This force was focused on the Khoikhoi revolts, and in 1932, was deployed against the Basters independent movement and, the next year, against the Ovambo on the border with Angola, who demanded to be freed from the Union. After a drastic budget cut in 1926 and the reduction to six military districts, it was raised to 56 000 men in the 1930s. 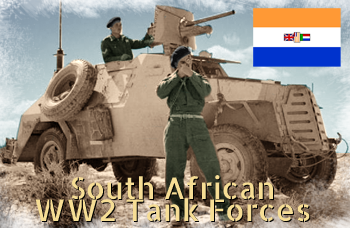 When World War Two broke out, large units of the South African Army fought with distinction in the East African, North African, and Italian campaigns, whereas the Home Defence Force was reorganized into several regional commands, at Capetown, Orange Free State Command, Natal Command, Witwatersrand, Roberts’ Heights and Transvaal Command, or at East London. The core of the army in 1939 was made of 5,353 regulars and 14,631 in the Active Citizen Force (ACF). In addition, there were no plans for external theaters, and these forces had been trained for and equipped only for bush warfare. A shortage of men and materials became apparent quite quickly. Racial policies reduced the able body for conscription to white males to about a pool of around 320,000, and there was no material support from Great Britain for modern guns and light weaponry or armored vehicles. Despite part of the government supported the declaration of war in 1939, there was a strong anti-war movement and recruitment was capped to a voluntary basis only. 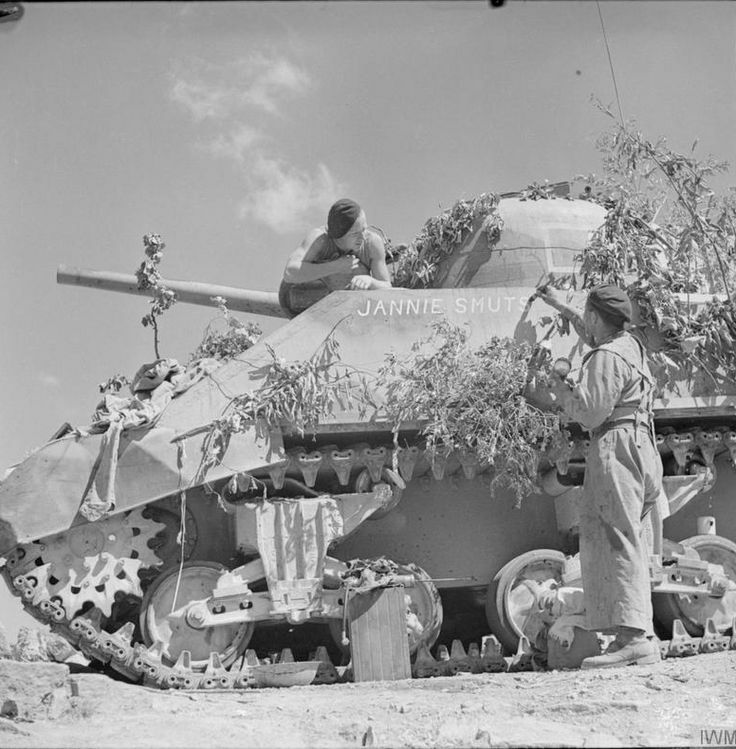 -The 1st South African Infantry Division took part in several actions in East Africa in 1940, North Africa in 1941 and 1942, including the Second Battle of El Alamein, before being withdrawn to South Africa. 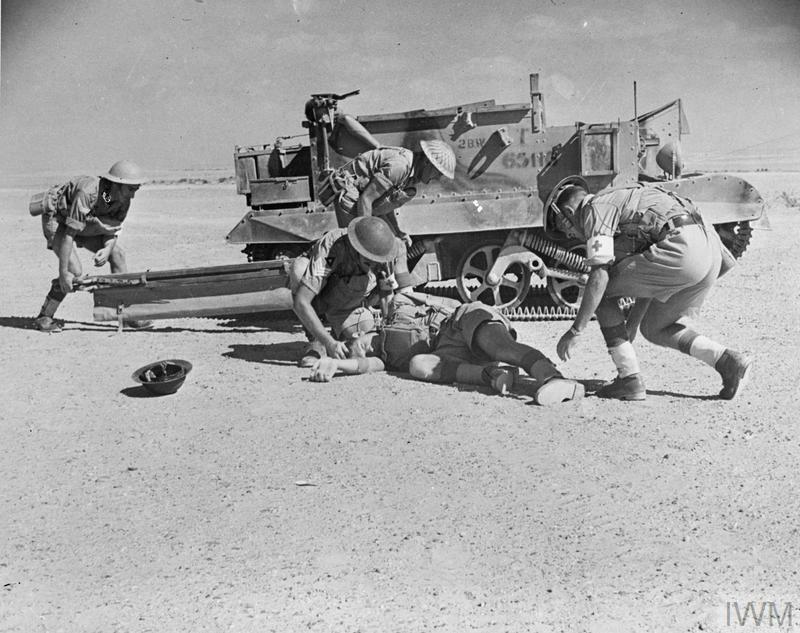 -The 2nd South African Infantry Division also took part in a number of actions in North Africa during 1942, but on 21 June 1942 two complete infantry brigades of the division, as well as most of the supporting units, were captured at the fall of Tobruk. 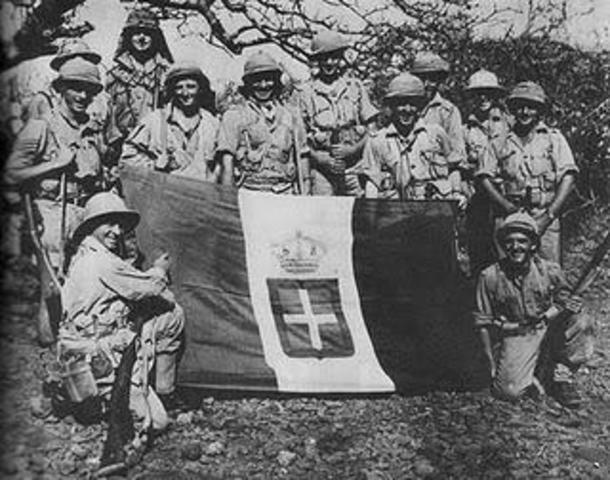 -The 3rd South African Infantry Division never took an active part in any battles but instead organized and trained the South African home defense forces, performed garrison duties and supplied replacements for the South African 1st Infantry Division and the South African 2nd Infantry Division. However, one of this division’s constituent brigades – 7th South African Motorised Brigade – did take part in the invasion of Madagascar in 1942. The 6th South African Armoured Division fought in numerous actions in Italy from 1944 to 1945. In all during the war, 334,000 men volunteered (including 211,000 whites, 77,000 blacks and 46,000 Cape Coloureds and Asians), 9,000 killed in action, (Commonwealth War Graves records 11,023 known). However, after the early 1930s, there was already an industrial basis to start with. 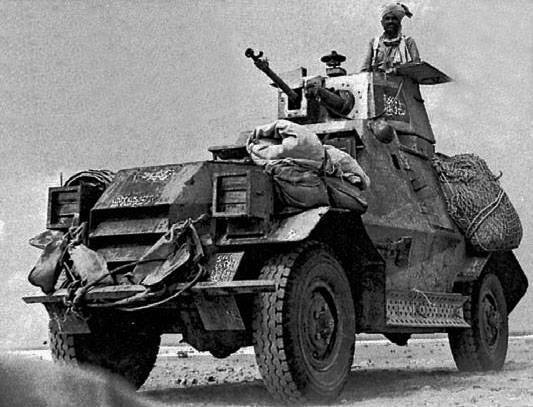 The South African already sought for a mass-production suitable armored car to suit its needs, and eventually, the choice fell on the Ford 3-ton truck chassis assembled locally at Dorman with parts from Canada and the US (Marmon-Herrington) and armored plates from the South African Iron & Steel Industrial Corporation, ISCOR. 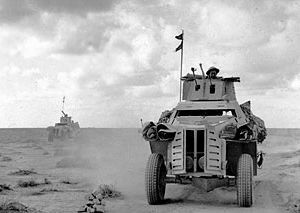 The Marmon-Herrington Armoured Car was born. 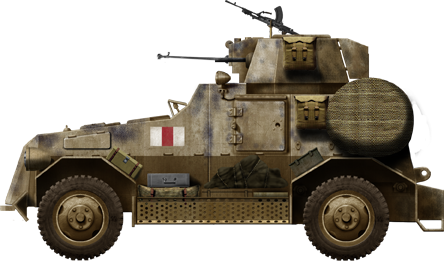 This SADF vehicle was mass-produced in 1940-1941 and helped support infantry units, particularly in East Africa against the Italians. Later on, the Mark II was created and British weapons were imported, like the Boys AT rifle, which gave some stopping power that could be used against Italian armor. 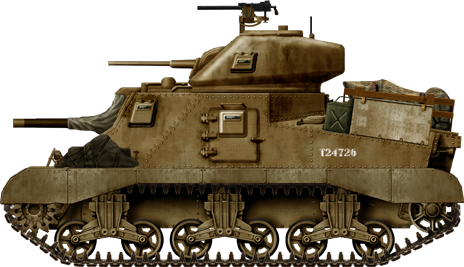 The Mark III (1942) was all improved, and the Mark IV (1943) was a brand new vehicle with a QF 2-pdr main gun in a turret. Over 2000 were produced. The ambitious 8×8 Mark V-VI were prototypes, too heavy for service. 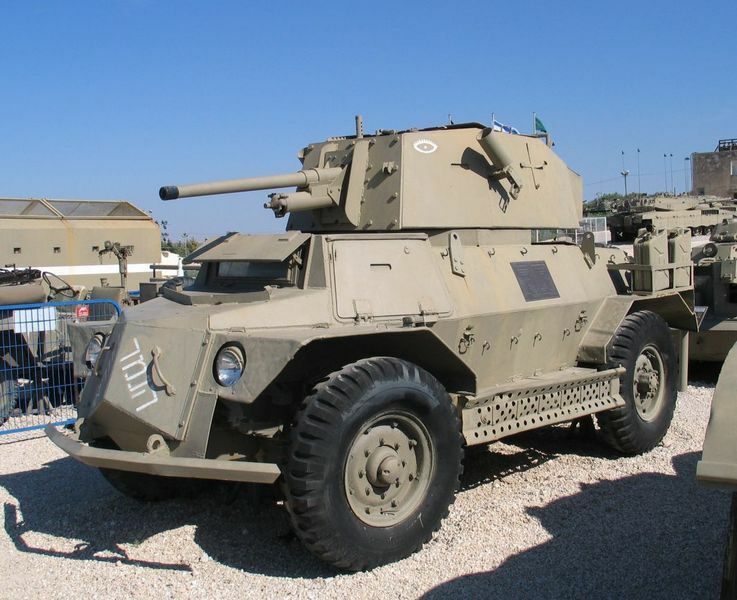 In total, around 5746 Marmon-Herrington Armoured Cars were built in South Africa until 1944, many of which saw service with the British and other Allied armies, and many other operators after the war. Some served in police duties until the late 1970s. This unit operated from February 1943 to May 1945, under the command of Major General William John Evered Poole. But its creation was discussed as early as April 1941 by Major-General George Brink (1st South African Infantry Division) and Prime Minister Smuts. 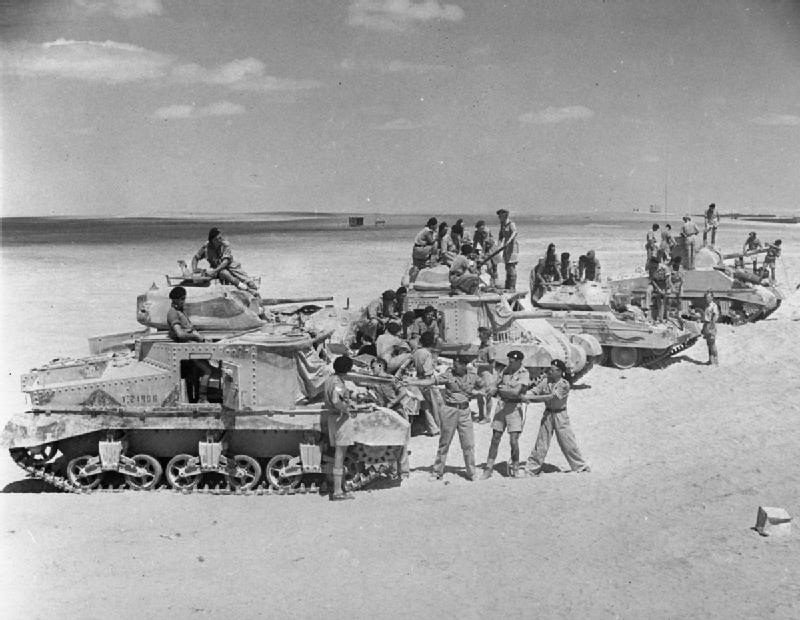 In fact, after the Second Battle of El Alamein, the 1st Infantry Division was withdrawn to Quassasin and its 1st Brigade was sent to South Africa and combined with the 7th Infantry Brigade to form the 6th Armoured Division. Its task was to replace the 2nd Infantry Division, entirely captured at the fall of Tobruk. After Casablanca, when the Allies decided their next stop was Sicily, only the 6th Division was considered viable to take part in the action. Eventually, this unit would be bolstered by the remainder of the 1st South African Infantry Division brigades after a re-training and completing session in South Africa. Formed on February 1st, 1943 it landed at Port Tewfik, Suez on 30 April. The nucleus counted two units, the 11th Armoured Brigade and 12th Motorised Brigade. Training began in the desert at Khataba, north west of Cairo, culminating with Exercise Cape Town (1 to 3 December) and Exercise Durban (5-7 December) for each unit, respectively, and the common Exercise Tussle. By January-February 1944, the 6th Armored Division remained in training as there were no deployment options in sight. Eventually, the unit was moved to Palestine and, by 12 March, re-routed to Italy as reinforcements. It arrived in Taranto on 20-21 April 1944. The 12th Motorised Brigade with artillery and support elements, reached Isernia to relieve the 11th Canadian Infantry Brigade (Cassino area), under New Zealand command. They held their positions until the breakout from the Anzio beachhead and were later reunited with the division. Now part of the British Eighth Army’s reserve, the 6th AD operated with the Canadian I Corps. 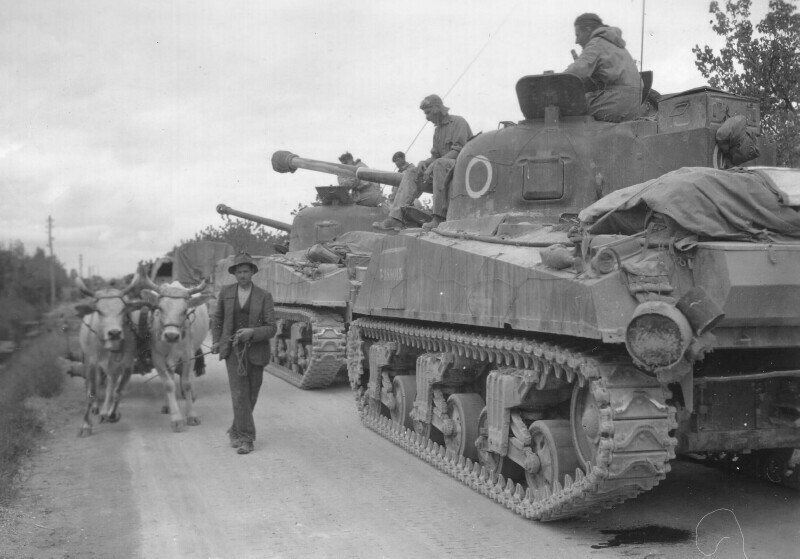 After Rome was taken (June 1944), the division was ordered to move up the Via Casalina, spearheading for the British XIII Corps. The 24th Guards Brigade was placed under its command for the occasion (this situation lasted until the spring of 1945). On 10 June, it fought the German 365th Infantry Division south of Celleno and gained an important victory. Lt.Col. Papa Brits and Lt.Col. Bob Reeves-Moore received DSOs. On 12 June, the Division took Orvieto, having advanced 75 miles (121 km) in ten days, in constant contact with the enemy. Later, in June, the British Brigade clashed with the Herman Goering Division on their first attempt to enter Chiusi, later taken by the Cape Town Highlanders. At the end of June, the Albert Line (Trasimene line) was breached. The South African 6th Armoured Division was on the left of the 8th Army advance on Florence in July, and clashed with the LXXVI Panzer Corps on the Georg Line. It was held back in particular by the 15th Panzer Grenadier Division holding the heights, until relieved by NZ and British elements outflanking the position. Rhodesian Shermans at Mont Vigese, 1944. Later on, the two brigades took the Chianti highlands, Radda, Maione. The Guards took it by night, supported by the tanks of the Pretoria Regiment. By 20 July, General Kirkman insisted that the 6th AD lead the crossing of the Arno river but lost some tanks on the greve due to heavy mining when supporting the 4th ID. Its flanks were guarded by the 8th Indian Infantry Division. Eventually, it crossed the river and captured Mercatale, defended by the 356th Infantry Division supported by Tiger tanks. Despite delaying actions by the German Parachute Division, the South Africans reached the Paula line on 28 July. Eventually, by Alexander’s decision, Florence was to be bypassed by the spearhead constituted of the South African and New Zealand Divisions. The Imperial Light Horse/Kimberley Regiment was the first to enter the city. Afterwards, the 6th AD was withdrawn into Eighth Army reserve near Siena. There it was resupplied, completed, and waited for a possible reinforcement of the U.S. Seventh Army for the assault of southern France in August, but was replaced at the last minute by the British 6th Armoured Division and resumed its operations in Italy. The war was certainly not over for the South African 6th Armoured Division. It took part in the consolidation of the Arno bridgehead in September and prepared to assault the Gothic line. In the process, the Division was ordered to advance along Route 64 leading to Vertago and Bologna and to capture the twin peaks of Sole and Capara. Meanwhile, the Guard brigade met heavy resistance from the well dug-in Lehr Brigade and two battalions of the 362nd Infantry Division. The 11th Armored Brigade was forced to fight dismounted due to the terrain. Finally, the German forces retreated to the Green line, and operation Olive officially ended on 21 September 1944. The South African engineer corps was hard at work in the fall of September to repair deployed bridges, and a two-days battle ensued at Monte Vigese against the Panzer Grenadier Regiment. The final attack succeeded (again with dismounted crews) after a heavy artillery barrage. The division was then withdrawn for rest and maintenance and reassigned to the U.S. Fifth Army. In October, the unit was thrusting north towards Bologna covering the flank of the U.S. 34th Division and clashed with the 16th SS Panzer Grenadier Division (which retreated on Mt.Sole, holding their position also because of torrential rains, halting all attacks). 6 SA Armoured Division command staff in Bologna, Maj-Gen Poole, Brig. Furstenburg, Maj-Gen Theron. From early November to February 1945, the 6th SA AD took its “winter quarters” only patrolling the line and holding fixed defensive positions. In February, the 24th Guards Brigade was separated and transferred to the British 56th Infantry Division until the end of the war. It took part in the final Italian offensive (codenamed Grapeshot), from March to May 1945. The division had to drive north west of Bologna to link-up with the Eighth Army, and met the German 8th Mountain Division in the process. Meanwhile, the newly formed 13th South African Motorised Brigade (13th Mot Bde) had been sent from South Africa to replace the well-expanded and exhausted 24th Guards Brigade, in particular after fierce fighting and heavy losses at Mt Caparra. Fireflies of the Pretoria Regiment in Italy, winter 1944-45. These elements and the rest of the Division found itself doing house to house cleaning up in the town of San Matteo della Decima, losing many support tanks due to enemy Panzerfausts. Eventually, the South Africans linked up with the British 6th Armoured Division on 23 April, destroying the German 65th Infantry Division and cutting off the 14th Panzer and 1st Parachute Corps. The division as a whole was cited by General Clarke (15th Army Group), who praised their hardy foot fighting. The 6th was located north east of Milan when the Germans surrendered in May. It was then placed on the Swiss and French borders for frontier duties. Repatriation commenced in 1946, complicated however by a miscalculation on behalf of the UDF, that led to the staging depot at Helwan north of Cairo being rapidly overcrowded, ending in full-scale riots. The creation of a tank corps was con-substantial with equipment being received from the Allies, especially of US origin. In North Africa, the US loaned the South African Armoured Corps Tank regiments operating there 88 Stuart M3A1s. Outside Universal Carriers, the bulk of the SADF units operating later in Italy with the 6th South African Armoured Division was provided by M4 Sherman medium tanks, M4/105s and M10 Wolverine tank hunters. Prototype of the 8×8 Marmon Herrington Mark VI (never produced, deemed too heavy). 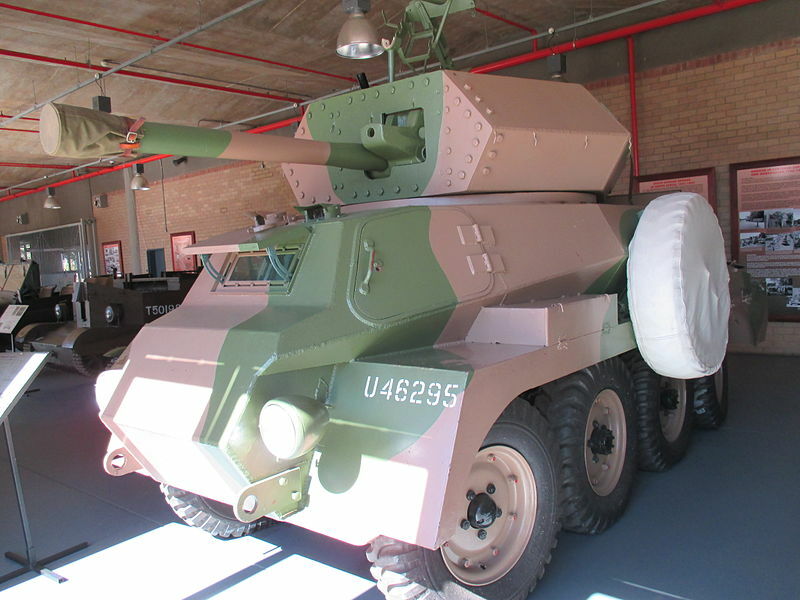 The M3 Stuarts were maintained for a long time in service, being retired in 1955 and stored until 1961, then reactivated in 1962 for troop training with the 6th South African Division and withdrawn for good in 1968. In 1946, SA also purchased two Churchill AVREs, and 26 Comet tanks, which arrived in 1954. But the latter were stored at Durban and saw service in 1964, when training South African Armoured Corps instructors, before being withdrawn in 1968. 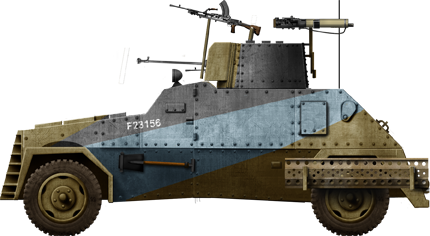 SANDF also operated 96 Universal Carrier Mk.2s in 1946. Later, 150 more refurbished Mk.2s and T16 s were obtained from Great Britain. All were withdrawn in 1965. 15 ex-British M4/105s, locally called “Sherman 1B”, were kept for training and also phased out in 1965.